I have been weaving my way through the yarn jungle that is my living room while I prepare warps.Yes, it’s that time again….yarn on every surface and many warps to prepare. But, I am now looking forward to a relaxed couple of weeks at my big loom, weaving for myself. 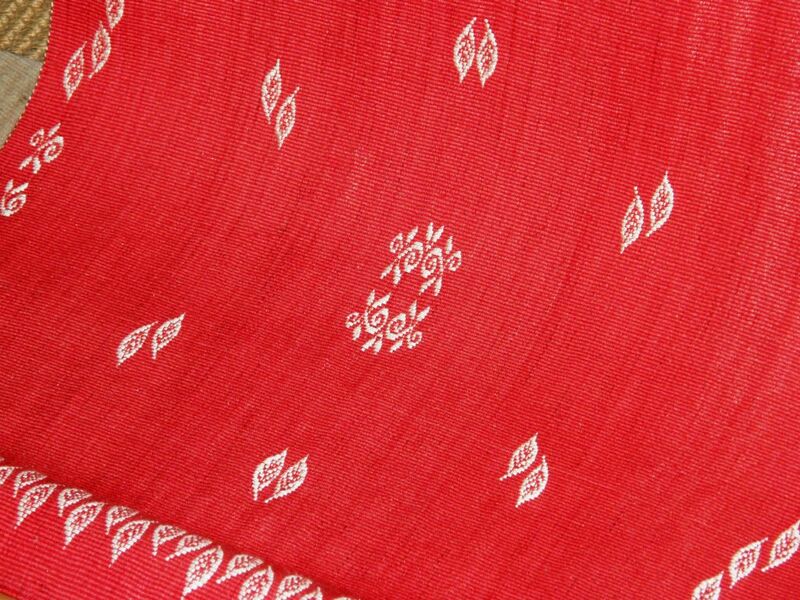 I was hoping to have my red Guatemalan cotton warp off the loom to show in this post. I got so close! I really dedicated myself to warping these last two weeks with just a few moments snatched here and there to sit at my big warp. Now I am at the end and I am just weaving some plain unpatterned rows to fold over into a hem. One of the many things I love about the backstrap loom is the fact that there can be very little loom waste, if you wish, although I admit that it isn’t a whole lot of fun trying to open sheds, prop them open and feed shuttles of weft through tiny openings when there is a mere four inches in which to work. I don’t usually choose to be so frugal with my thread. The problem is that I was not sure of having enough red cotton to create this project in the dimensions I wanted and so I had to calculate for take-up and warp the bare minimum length. As I am using a 60/2 weft at the end for the hem, progress on this last inch or so isn’t exactly fast. I so enjoyed weaving this piece. As I said in my last post, I love having the loom bars filled with thread and really enjoy using the big swords. Warp-faced plain weave is so gorgeous and fun to weave in fine thread. This thread is rather grippy and I had to work hard to clear sheds, especially the stick shed for which I had to strum to break each thread’s sticky grasp on its neighbors. I broke one of my pick-up sticks with zealous strumming. Don’t use your finest and favorite pick-up stick for strumming. My weaving teachers use strong llama bones for strumming for a reason and, goodness knows, I have a bunch of those. One thing to which I paid close attention in this project was strumming evenly and smoothly in both directions. 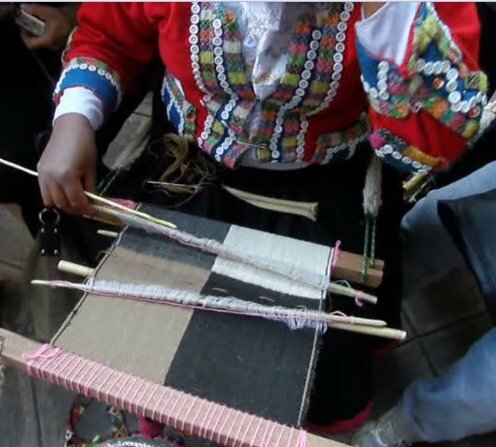 A backstrap weaver from Pitumarca, Peru with her llama bone tool in her lap ready to pick up at any time and use for strumming, beating and selecting threads. I have one large skein of brown left in this particular Guatemalan thread. I would like to use it to weave two identical wide panels that I can join with bright decorative stitches. 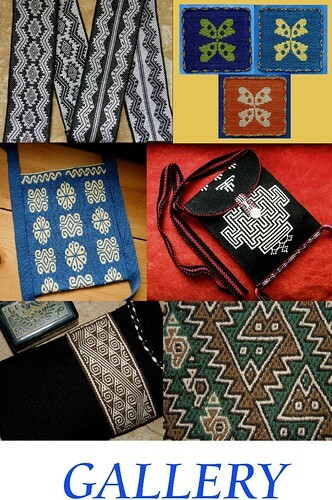 I gaze at Maxima’s beautiful aguayo and would like to use the kind of stitches that she has used to decorate the join. You can see the row of colorful triangles where the two pieces come together. However, I will not attempt to give my panels four selvedges….not with this fine cotton! I am not ready for that yet and probably never will be. My successes with four selvedges, so far, have only been with wool and alpaca yarn and once with fine acrylic with the guidance of my teacher in Potosí. The difference is that the wool and acrylic are stretchy and that helps a lot when trying to squeeze in those last passes of weft. A wool plain-weave runner with four selvedges that I decorated with supplemental-weft patterns. 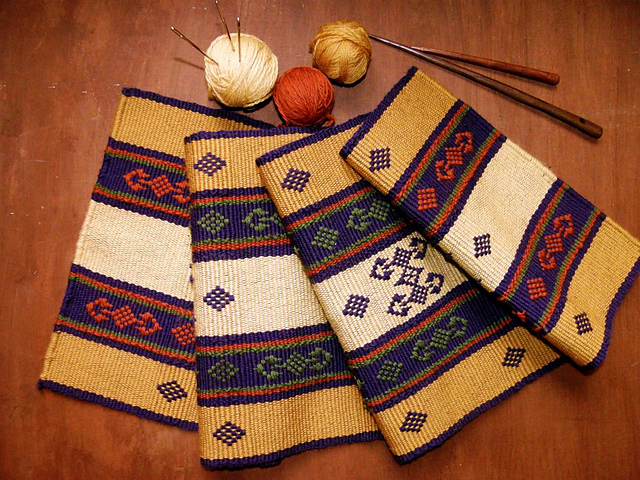 I wove the red piece of cloth because I wanted to use it on display tables when I show people my smaller weaving…..a nice splash of color. I can pose all my small woven samples on it. A brown one won’t exactly provide the eye-catching spot of color that I want but, if I decorate it with supplemental-weft patterns and make the joining stitches bright and cheery, I think it will look very nice. I have tried one kind of decorative stitch to cover joins on some wool bands made by ladies in Maxima’s cooperative (see the example on the right). I will need much more practice before I will be able to have them as neat and beautifully even as Maxima’s. 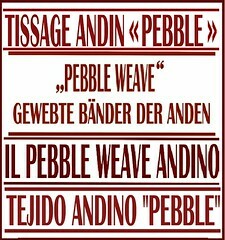 Not all the weavers here are as precise in their stitching as Maxima. 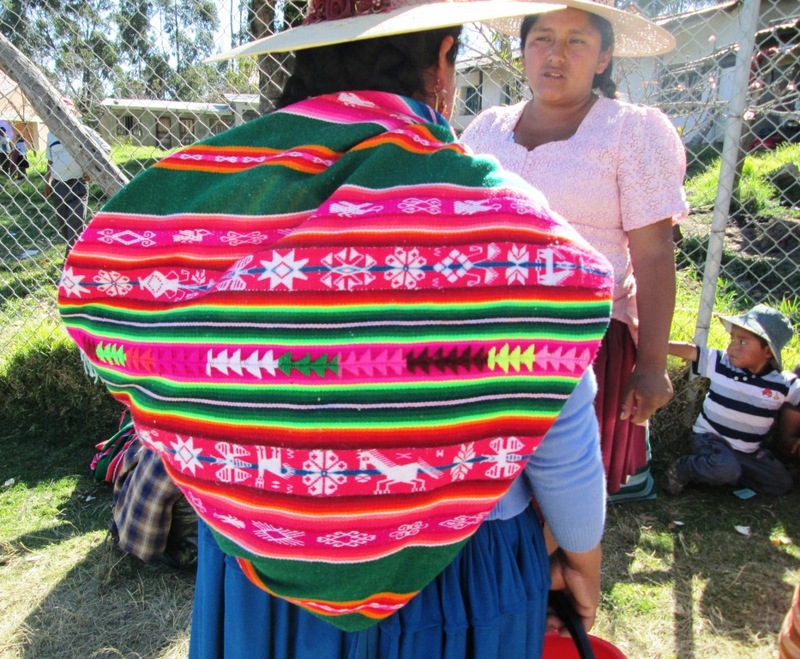 The piece below from Calcha, Bolivia is well used and the stitches are quite worn and the thread faded. 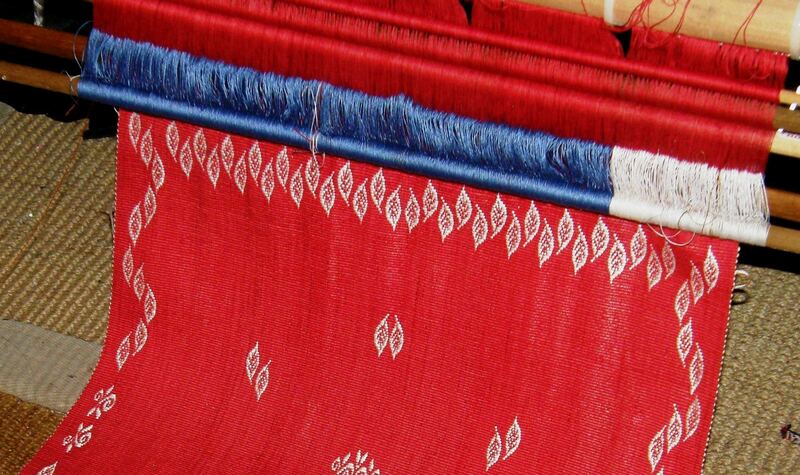 In this picture you can also see the ”terminal area” of this four-selvedge piece where the weaver had to stop creating the warp-float pattern and use plain weave to finish. The last few sheds would have been created without the aid of heddles or sticks with every other warp thread picked up using the blunt end of a needle. The weaving, apart from being a little moth eaten, doesn’t show signs of wear. 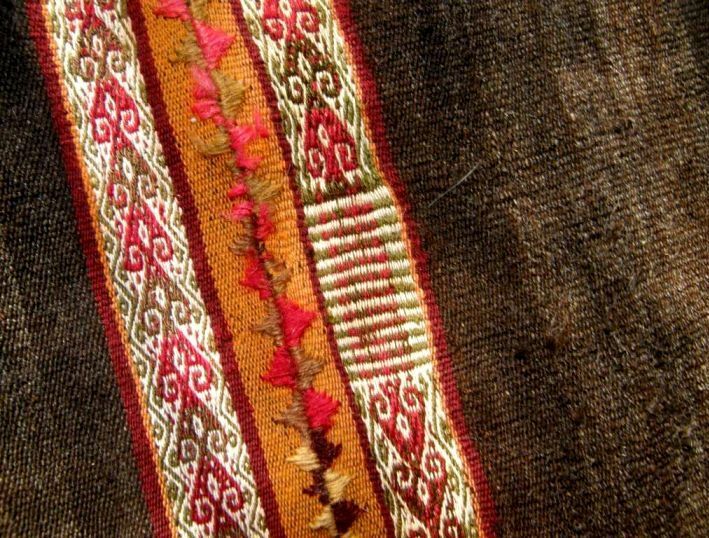 It looks like the long decorative stitches are the first things to break down on these pieces. Well, it’s back to the loom for me to weave off that last inch or so and then plan the brown thread project. 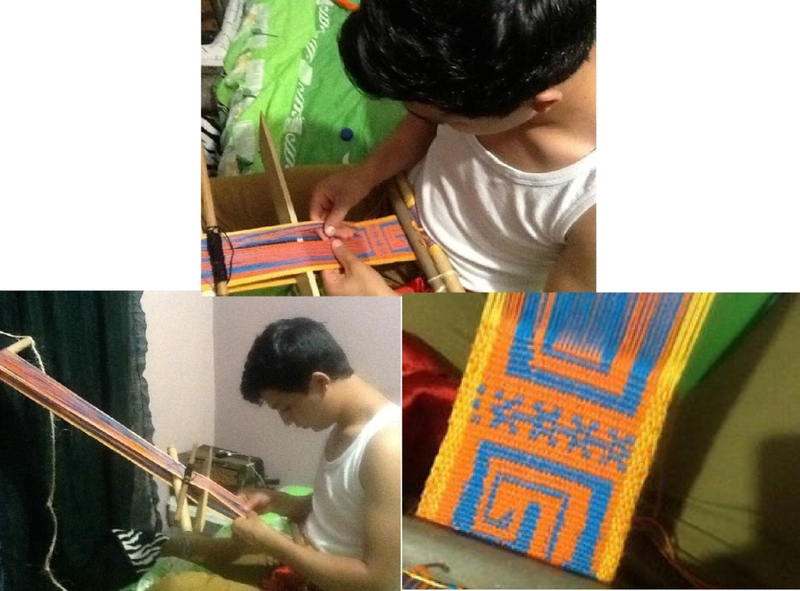 I will leave you here with pictures of my Facebook friend, Oscar Armando Vazquez in Mexico, weaving on his backstrap loom. He says that there aren’t any backstrap weavers where he lives and so, lacking a teacher, he has been studying techniques on my blog instead. 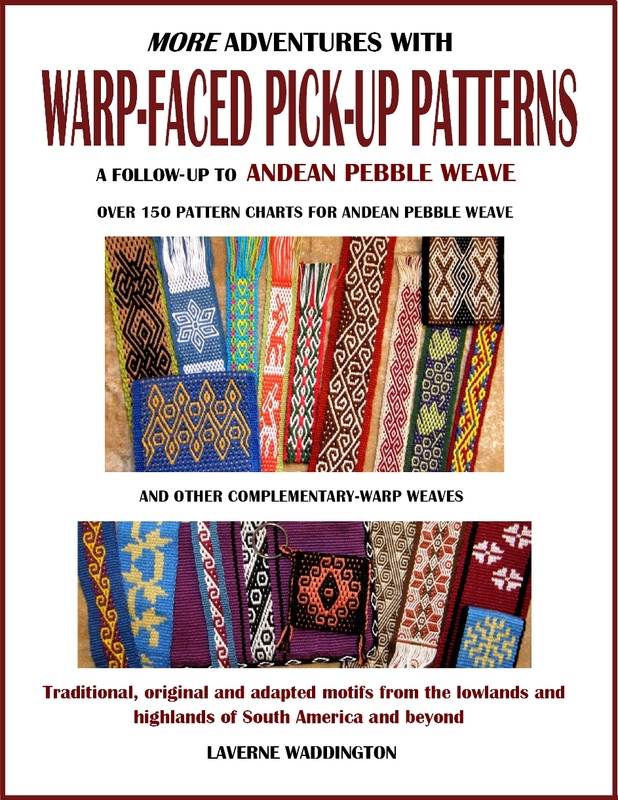 Here he is doing warp-faced double weave using this tutorial and creating patterns of his own. Wonderful! Your red piece is stunning, Laverne! 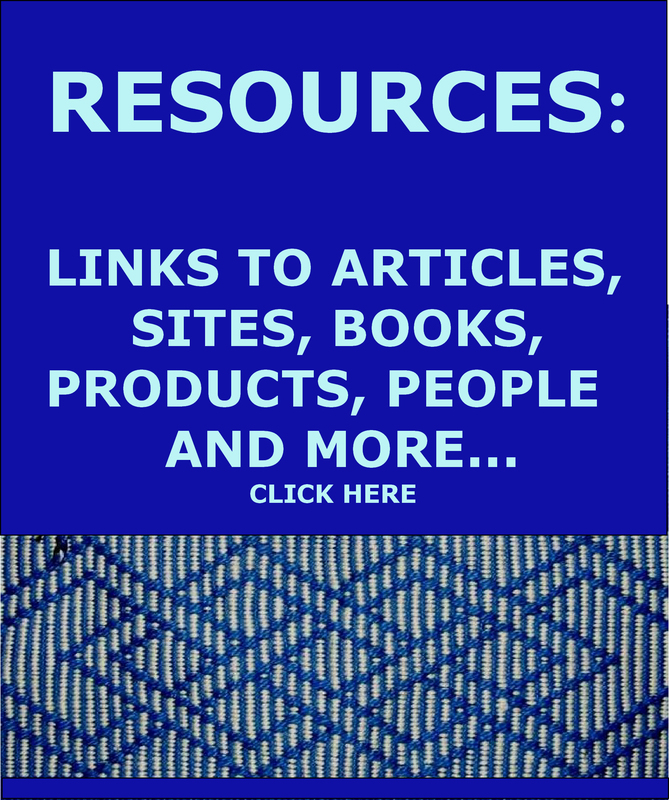 How many of us have learned most or all we know of backstrap weaving from this blog? Thank you for all that you have shared with us over the years both in the blog and in person. All the best to you, Oscar. Like you, I have gained a wealth of knowledge from Laverne. Thanks so much, Jim. Hope we can get together again some day. Awesome blog again, Laverne. I love the stitches used for joining bands. Maybe one day you’ll show us how you did that. 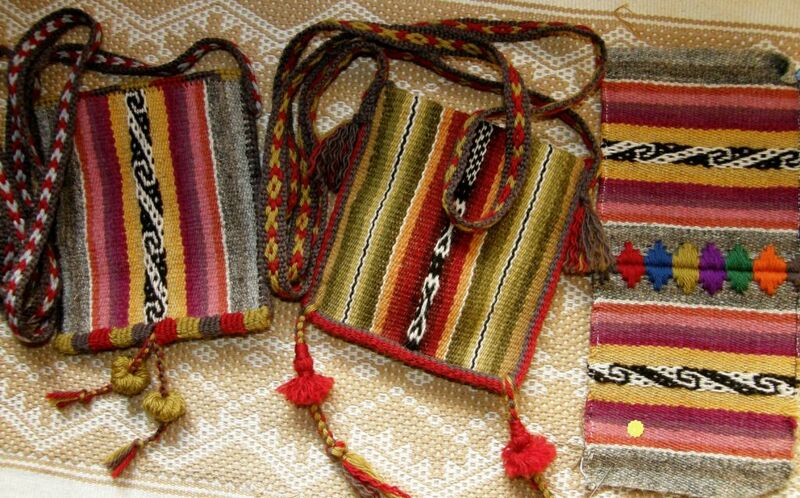 I am sooo impressed with your weaving and your vast knowledge ! 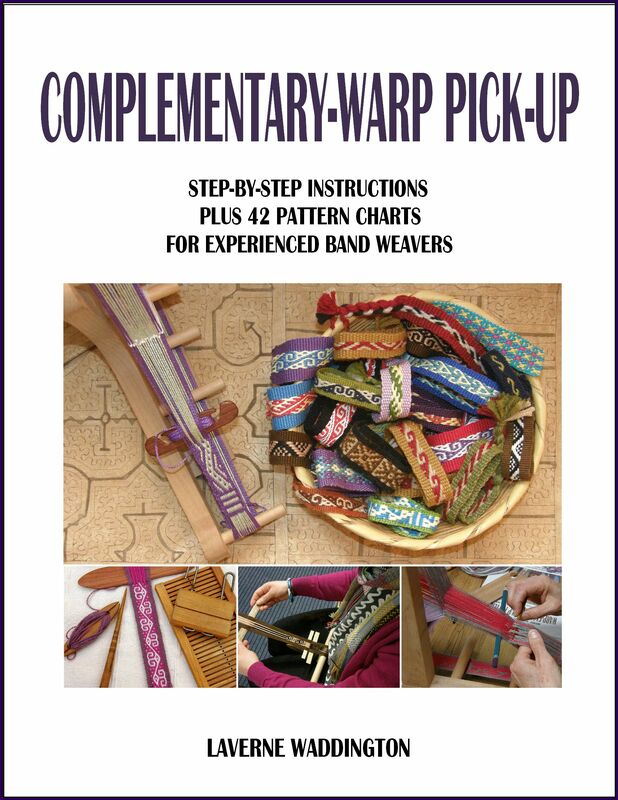 I love all of your weavings and instructions. Great job ! Laverne, un abrazo desde Chile y como siempre, tu fans incondicional.